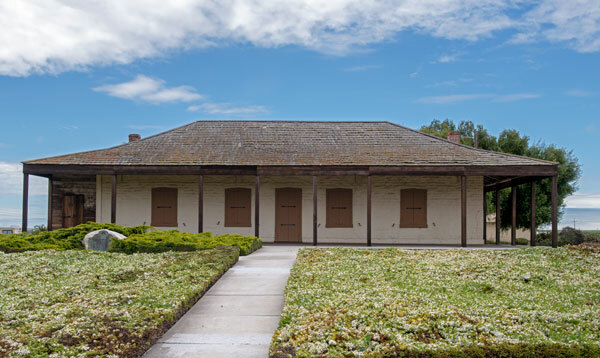 Built between 1844 and 1848 by José Eusebio Boronda, this is an outstanding example of a Mexican era rancho adobe. Virtually unaltered since its construction, it shows many features of the "Monterey Colonial" style which resulted from the fusion of New England and California building traditions during California's Mexican period. Plaque placed by the State Department of Parks and Recreation in cooperation with the Monterey County Historical Society, Inc. and the Monterey Bay Chapter, A.I.A.. May 18, 1974. 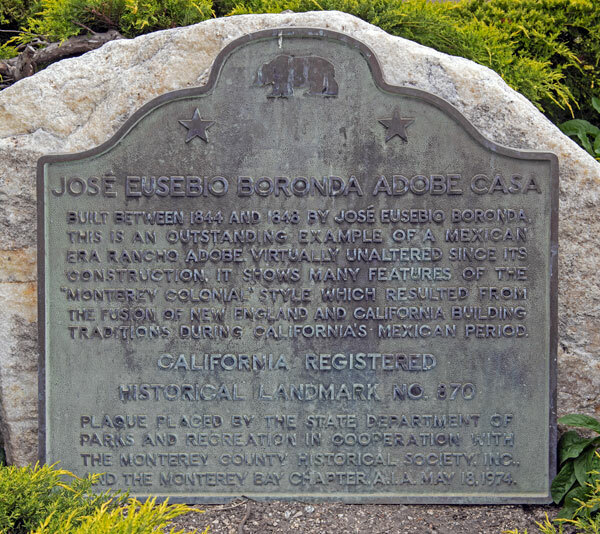 The Boronda Adobe is listed on the National Register of Historic Places.